We've had a tremendous response and RSVPs for dinner are now closed. We could still use your help to make it a great celebration for everyone. Please consider volunteering for a shift. Our social action focus for Chanukah is contributing to the Austin Diaper Bank. At this time of year, the Austin Diaper Bank will distribute over 160,000 diapers. With our help, they can continue to support our neighbors in Central Texas. Learn more, including how to donate. Thank you! Get together with Rabbi Cohen to refresh your plans for Chanukah celebrations with family and friends! Learn what's behind this holiday of rededication, and get inspiration for recipes, games, and activities for all ages. RSVP by Friday, Nov. 30. For even more ideas, see our comprehensive Celebrate Chanukah resource below! Here's to a Chanukah full of wonderful music! Listen to Cantor Abby Gostein sing the Chanukah blessings as well as Maoz Tzur (Rock of Ages) and find words and instructions. 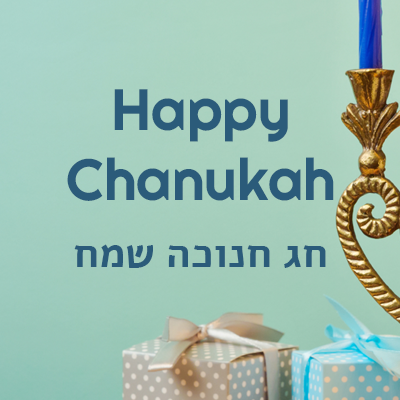 Chanukah (alternately spelled Hanukkah), meaning "dedication" in Hebrew, refers to the joyous eight-day celebration during which Jews commemorate the victory of the Maccabees over the armies of Syria in 165 B.C.E. and the subsequent liberation and "rededication" of the Temple in Jerusalem. 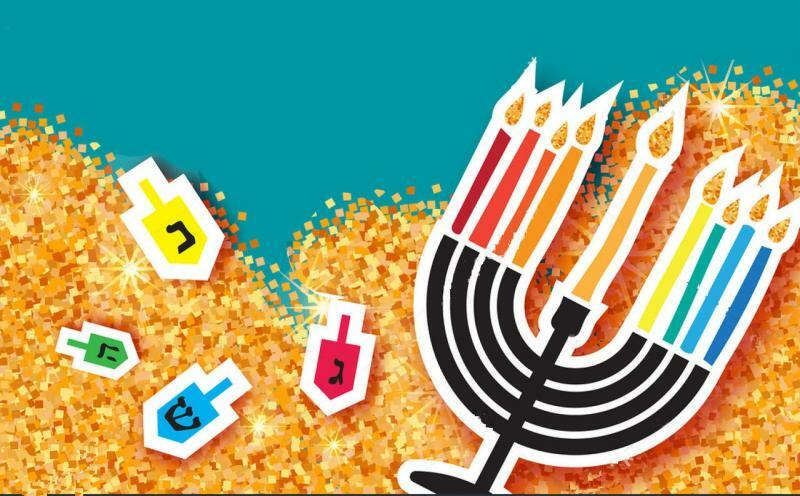 The modern home celebration of Chanukah centers around the lighting of the chanukiyah, a special menorah for Chanukah; foods prepared in oil including latkes (potato pancakes) and sufganiyot (jelly donuts); and special songs and games.